Rotterdam in the Netherlands is deeply connected to the sea and trading. The Mass River is the pulsing heart of Rotterdam. The city houses the largest port in Europe, also considered one of the biggest in the world. As a traveler, you can be part of this maritime world, go on on a Rotterdam boat tour, visit ports, themed museums, and do a bunch of cool activities by the river. 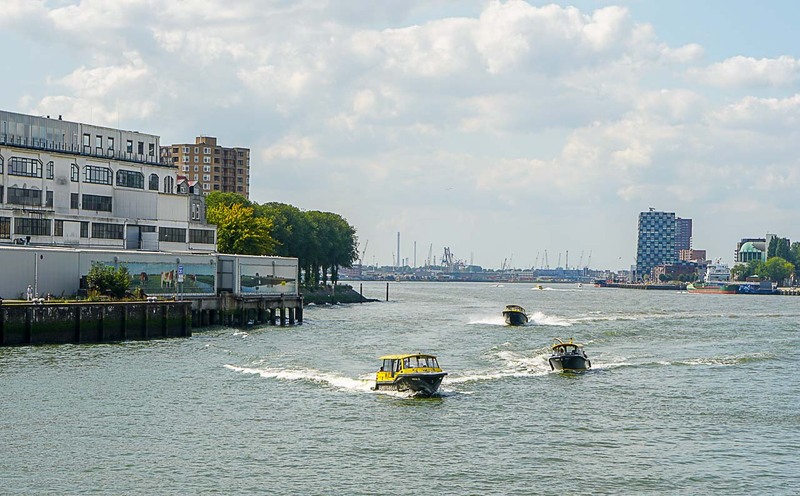 The Rotterdam Maritime Museum and the boat tours are just two of the many water activities in Rotterdam that you can experience. 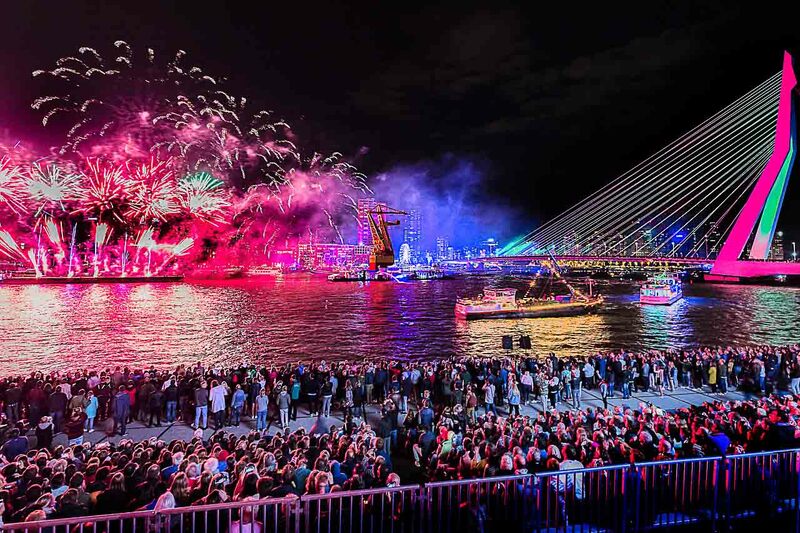 The list of what to do in Rotterdam by water is long and if you are looking for things to do in Rotterdam with family, this guide is perfect for you. Here you’re going to find activities for kids and grown-ups. Some of our suggestions are famous attractions in Rotterdam, like the boat tours and port tour, while others are great if you wanna go a little bit more local. 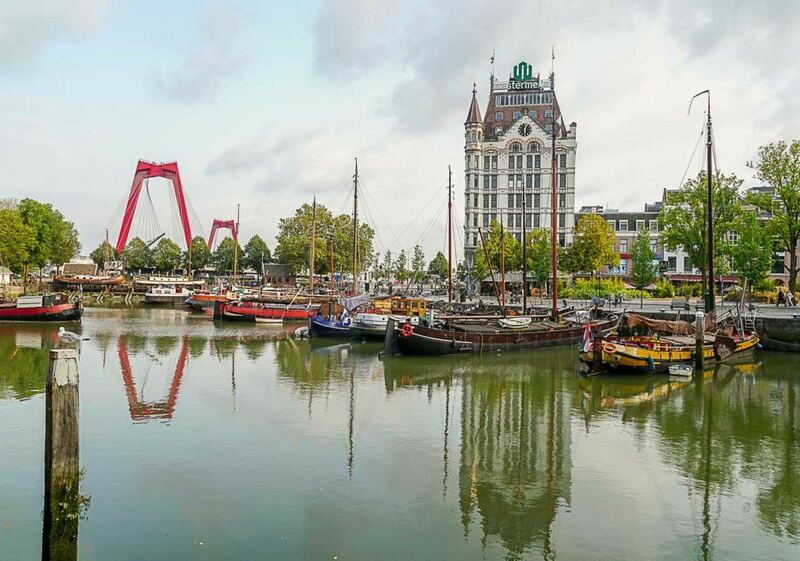 As the largest port city in Europe, there are parts of Rotterdam that are best experienced on the water, so a boat tour in Rotterdam is a must do for any traveler. The docks and the shipyards are quite interesting and tours like the Rotterdam Harbour Tour will allow you to have a good look at them, experiencing history from up close. 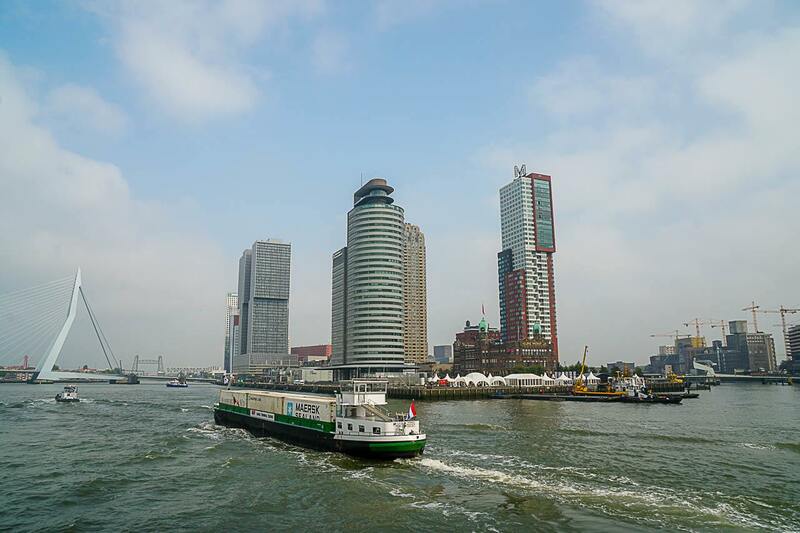 There are many boat tours in Rotterdam: you can choose the one that suits your schedule or most interesting itinerary. We boarded on the Spido Boat Tour and we loved it! It was a 75-minute adventure cruising the Mass River, visiting different ports, and seeing the city from a completely different angle. If the weather is good, this is the perfect boat tour to relax, have a beer and admire the city. 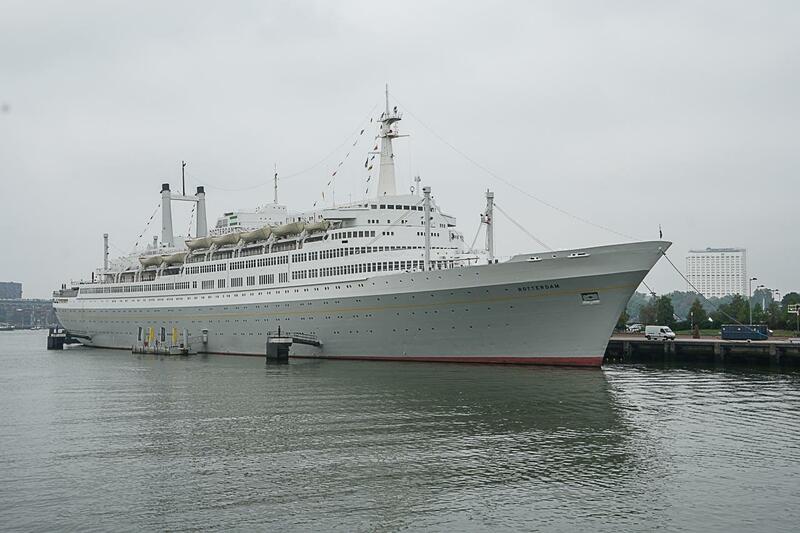 The Spido Rotterdam Harbour Tour ends with the impressive steamship SS Rotterdam. You don’t get to visit it in the inside, but if you don’t have that much time to explore the city, you can see it from outside during the tour, and then you can kinda cross this Rotterdam attraction off your must-visit list. In 1958, Queen Juliana launched the Steamship SS Rotterdam after a lavish ceremony. It was considered to be the last Dutch State Ship, which is why it’s also a marvel of engineering. In September 2000, it was finally retired and its interior has been restored as faithfully as possible to its glory days, and then converted into a unique museum. There are a restaurant and a hotel inside the ship, so if you fancy a night of glamour you can book a room at the SS Rotterdam and enjoy the full experience. Rotterdam’s maritime history is deep and colorful, and few spots are better representations of it than the Maritime Museum. It’s Holland’s oldest open-air harbor museum, and a historical part of the city. The area used to be a busy port that was heavily bombed during World War II. 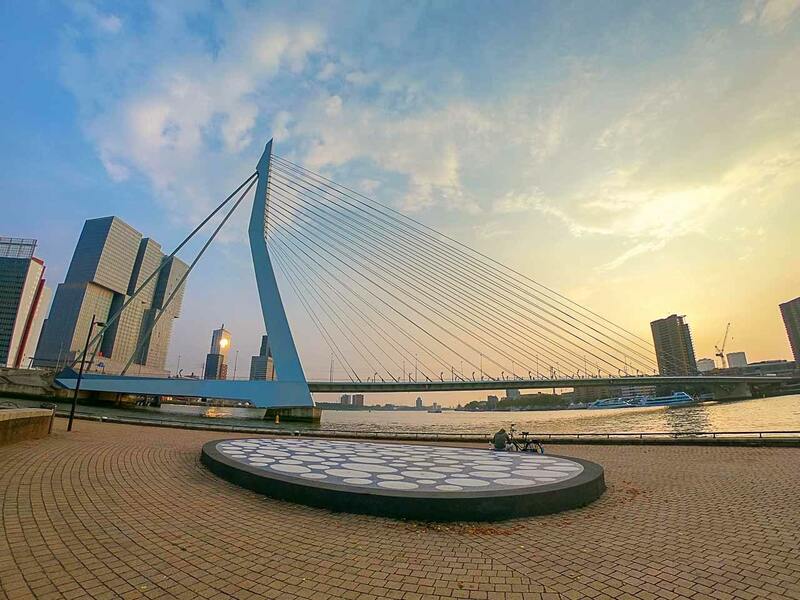 After the war, the whole port was rebuilt and today you can visit it as an open-air exhibition, and let us tell you, it is one of the coolest free things to do in Rotterdam. The Maritime Museum has a large permanent collection and interactive exhibitions. Part of the event is following a guided tour, which focuses on Netherland’s history, as well as Rotterdam’s importance as a port city. Imagine yourself cruising Rotterdam Maas River while eating delicious pancakes! Yes, all you can eat Pancake Boat Tour is a thing in Rotterdam and a popular attraction among families and friends. One of the best things about this boat tour is that the seating is always great! It doesn’t matter where your table is, stunning views are guaranteed. Along the way, you’ll see attractions like the Wilhelmina Pier, the SS Rotterdam, and the fantastic Erasmus Bridge. And don’t forget the pancakes! Floating down the canals while lounging in a steaming hot tub is one of Rotterdam’s most unique activities. Actually, the HotTug is one of the most memorable things to do in Rotterdam. This is the world’s first wood-fired hot tub that allows you to float down a canal, like a little boat. The season doesn’t matter, this is something you can do from hot summer to freezing cold winter. Think about it as a social activity best shared with friends, loved ones, and family. 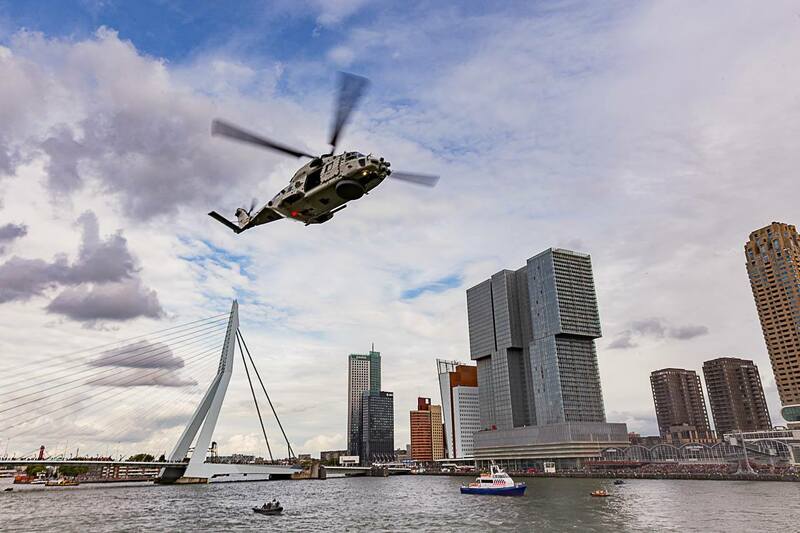 There are few things in Rotterdam that are as exhilarating as speeding down the Maas River. Rotterdam boat tours are great fun, but crossing the river on a speedboat is even better. With a water taxi you can easily go to almost any part of Rotterdam in practically a blink of an eye since traffic jams won’t be an issue. There are dozens of different landing sites all over the city. If you spot a yellow platform by the river or by a canal, that’s a Water Taxi stop. It’s the perfect way to travel around during summer, but they’re not bad at all during winter as the taxis are heated. The Old Harbor, or Oude Haven, is the oldest harbor in Rotterdam. It has been around since the 14th century, and its a must visit place in Rotterdam. Many of its historic ships have been moored and anchored at this location adding an extra charm to the area. Oude Haven is a popular spot in Rotterdam and it’s filled with bars and restaurants. So take a seat, order a drink a enjoy the view. It’s also the location of Europe’s first skyscraper – The White House, or Witte Huis. Want to sleep in a floating hotel in Rotterdam old port? Book a room at H2OTEL, or rent a houseboat on Airbnb. Want something extra special? So stay at a unique and stunning cardboard made floating house at the old port in Rotterdam. Don’t forget to sign up for Airbnb here and get a discount on your first booking. During World War II, almost entire Rotterdam was bombed and destroyed. 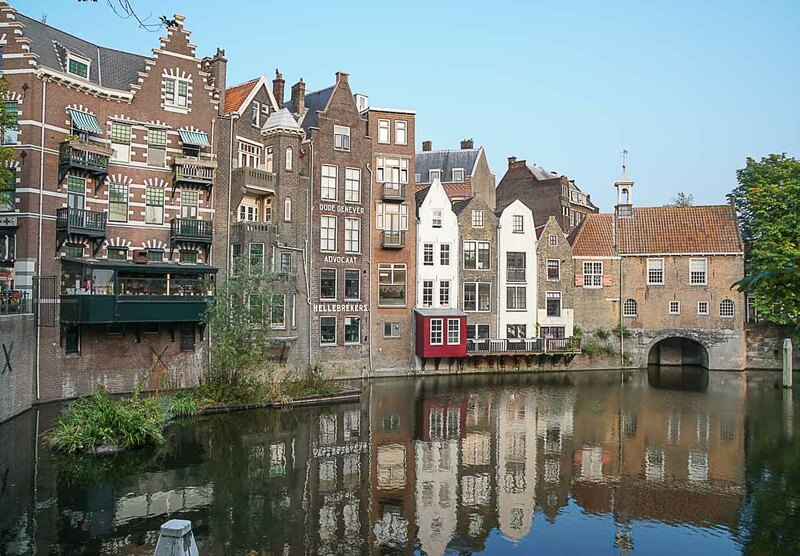 However, Delfshaven is one of the few parts of the city that survived almost entirely intact. If you’re interested in seeing just how Rotterdam used to look in its older days, then Delfshaven is the perfect lesson for that. It’s an old historic port, and its shipyards were responsible for creating entire armadas. You can visit a replica of De Delf, an important warship that sunk in the final years of the 18th century. The world’s largest warship replica is at the Museum De Delft, located in Delfshaven. At Fenix Factory you can find all sorts of food, craft beer, and delicacy. It’s a food hub located in Katendrecht, inside one of its industrial warehouses. There are several different shops, each with their own distinct vibe and feel. 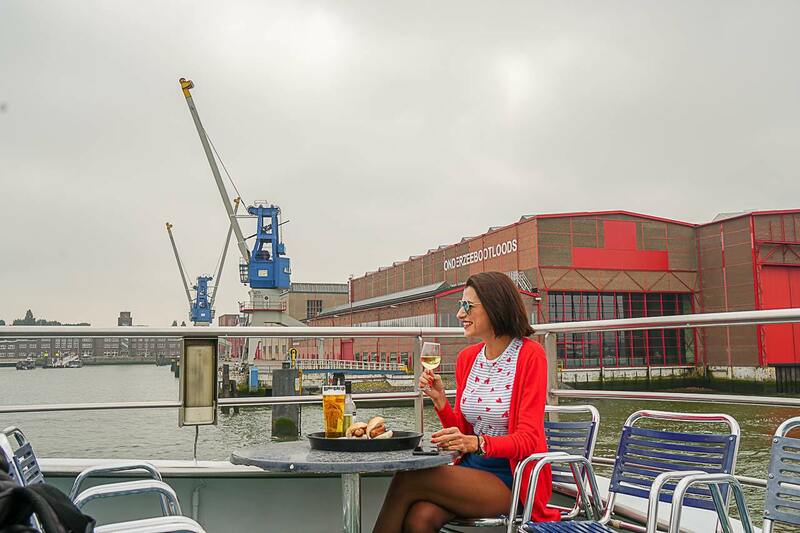 Once you have chosen your food, grab a seat outside, eat and relax overlooking the Maas River and Wilhelmina Pier. Erasmus and Willemsbrug are the most famous bridges in Rotterdam and you simply must visit both of them. They’re some of the most dominating pieces of architecture in the city and are considered two irreplaceable landmarks. Each one connects very important parts of the city. Erasmus bridge connects the Maritime District with Kop Van Zuid to its futuristic skyscrapers. And Willemsbrug bridge connects Oude Haven to the cute Noordereiland neighborhood. If you have time, visit Erasmus Bridge during the day and at night, and you might as well have numerous photo opportunities there. The World Port Days is one of the most important events in Rotterdam. If you like sailing, ships, and all-around adventures on the water you must be part of it. World Port Days is a maritime event that offers different tours and excursions on the many vessels that take part in the festival. There are normally helicopter shows and demonstrations, a water cannon display, as well as a speedboat racing. There are also plenty of companies which will show off their barges, which you can board on and explore for a bit. World Port Days 2019 happens during the first week of September, on the city’s harbor, so don’t miss it! 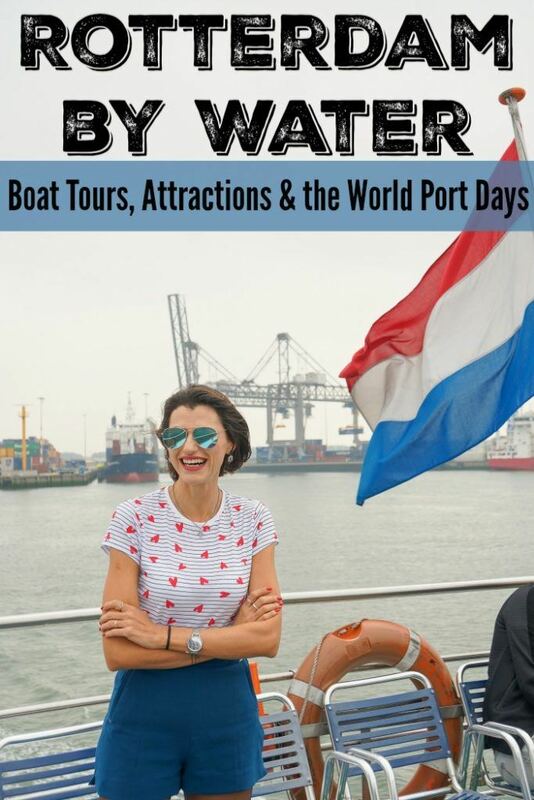 Bear in mind, that during the World Port Days, the boat tours in Rotterdam change their schedule and departure times, so book your tour in advance. Also, the city tends to be packed with tourists, so book your room in advance as well. The Mass River and canals are full of things to see. Many travelers only enjoy Rotterdam boat tours, but the truth is that there are much more cool things to do there. The river is filled with unique historical places, and it’s also one of the best spots to view the city from. It doesn’t matter when you’re visiting Rotterdam, take time to explore the canals, river and do some water activities, you gonna experience the city in a unique way. For travelers who want to have a full water experience in Rotterdam, there are some special hotels and accommodations waiting for you. Think about floating rooms, magnificent views of Mass River and Erasmus Bridge and much more. Let Rotterdam hotels surprise you. We have stayed in two amazing hotels in Rotterdam, and both have fascinating views of the river and Erasmus Bridge. Each one has a different style and decor, but both are super comfy, spotless and have great hotel services. Nhow Hotel – Premium room with skyline view: we loved all about it! The view, the modern decor and the breakfast in bed were fantastic. The building itself is an attraction, so why not stay at least one night at Nhow Hotel and wake up to an incredible skyline? Book your Nhow Hotel room here! Inntel Hotel Rotterdam Center – Panorama Top Room: the corner suite has an outstanding view overlooking the Mass River and the city. The room was great, the breakfast was huge and you can have it while admiring Rotterdam’s canals. The location is even better: from the hotel you can explore Rotterdam on foot or by public transportation. Book your room at Inntel Hotel here! The list of good hotels in Rotterdam is big, so here are some of the best ones that are close to the river or have a special connection with water. Hotel New York: if you want to stay in a charming historical building with amazing service, you should know that nothing can beat Hotel New York. Check Hotel New York rooms and rates here! H2OTEL: dreaming of a floating hotel in Rotterdam? Book your room at H2OTEL and stay at the old port of the city. Check H2OTEL rooms and rates here! Rent a houseboat in Rotterdam: that’s a good option for families and group of friends. On Airbnb, you can rent houseboats in Rotterdam for days, weeks or months. Choose the one that shakes your boat and live like a local. Find the coolest houseboats in Rotterdam here, and sign up for Airbnb here to get a discount on your first booking. Cardboard Floating House in Rotterdam: this is the cutest floating house we’ve ever seen, and we wish we knew about it before we got there, so we could have booked at least one night there. Innovative thinking, design and Rotterdam maritime culture: this house puts all this together with style. Book you cardboard floating house on Airbnb here. Sign up for Airbnb here to get a discount on your first booking. Love this Rotterdam by water guide? So pin it for later!